Each year at Homecoming, Winona State University and the Alumni Society recognize individuals for their outstanding commitment to the University, its mission and to improving our world. Distinguished Alumni Award recipients are graduates who have achieved prominence in their chosen field of endeavor and who have made significant contributions to the university, bringing honor to themselves and to their alma mater. Submit an award nomination for an alumni. Distinguished Young Alumni Award recognizes graduates who are 45 years old or younger and have distinguished themselves in their work or in their community. Volunteer service and contributions to the university are also considered. Submit an award nomination for a young alumni. Distinguished Faculty/Staff Award recognizes WSU faculty or staff who have elevated the esteem and prestige of the university through their commitment to the university and all of its constituent groups. Submit an award nomination for a faculty or staff member. Distinguished Service Award recognizes WSU graduates or non-graduates who have voluntarily rendered significant contributions of time and talent to WSU. Submit an award nomination for a strong supporter of WSU. Jordan Henrickson graduated from WSU with a B.S. in Education in 2014 and was commissioned as an officer in the U.S. Army. He went on to receive his master’s degree in Strategic Security and Counterterrorism from George Washington University in 2017. While at Winona State, Henrickson was the captain of the cross country team for two years, was an ROTC Cadet Mentor for three years and was a member of the Dean’s List on numerous occasions. He also served as a Big Brother during all four years at WSU. Additionally, Henrickson worked as a certified emergency medical technician - training that has come in handy on many occasions since then. 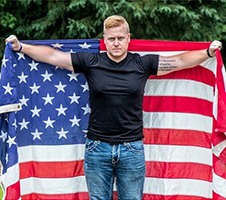 Henrickson grew up in the small town of Hixton, Wisconsin, near Whitehall in the western part of the state, and plans on making the military a career. He credits Wisconsin’s Badger Boys State program – which he went through as a participant and then spent five years as a counselor – for leading him to the military. It has been a remarkable journey thus far for Henrickson. He is the youngest officer to receive the Military Outstanding Volunteer Service Medal (twice) in his unit at Fort Bliss, Texas. He received the Army Commendation Medal for saving a civilian’s life during a traffic accident in 2015. He has received the Army Achievement Medal for elite physical fitness. He is recognized by the Battalion, Brigade, and Division Commanders for his excellence and outstanding service to the Army. He continues to be highly engaged in his community; serving as a Big Brother, working at animal shelters and has spent his own money to start a weather balloon program at an area middle school to encourage students to become interested in science and engineering. Moreover, Henrickson is considered by his Company Commander, Captain Jesse Thomas, to be the most selfless person he has ever met in his years of military service. Henrickson and his wife, Samantha, are the proud parents of a son, Kyran, (2 years old) and a baby boy, Kamryn, (7 months old). They have recently relocated from El Paso, Texas, to their new home in Geronimo, Oklahoma, where Henrickson is stationed at Fort Sill. He anticipates being promoted to the rank of Captain in September. 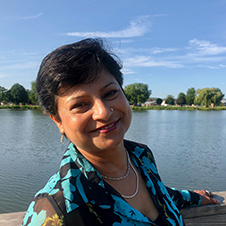 Dr. Joyati Debnath is currently a full professor in the Department of Mathematics and Statistics at Winona State University, where she has taught since 1989. Professor Debnath received a master’s degree in pure mathematics in 1985 and a Ph.D. degree in applied mathematics from Iowa State University in 1988. She has received numerous honors and awards, including the Best Teaching Award from Iowa State University in 1987, the Outstanding Woman of Education Award in 1993, and Who’s Who Among American Teachers in 1996. Prior to joining WSU, Dr. Debnath was a faculty member of the Mathematics and Computer Systems Department at the University of Wisconsin - River Falls, Wisconsin. Dr. Debnath has been an advocate and mentor for female mathematicians and has led her career with a student-focused approach to her work. It is no surprise that her students nominated Dr. Debnath for this very prestigious award. Dr. Debnath has research interests in the areas of integral transform theory and more recently in matrices and graph theory. She is an author or co-author of over 50 publications in numerous peer reviewed journals and conference proceedings and has made numerous research presentations at national and international conferences in mathematics and computer science. Dr. Debnath is a recipient of many grants, including the National Science Foundation Instructional Laboratory Improvement grant, Center of Undergraduate Research in Mathematics grant and grants for WSU undergraduate student research. She has served as a faculty director of the WSU Freshman Orientation Program and has served on numerous university committees. For last few years, Dr. Debnath has also been coordinating the Distinguished Lecture Series in Mathematics at Winona State. She resides in Winona and has one son, Shubham, who recently completed his Ph.D. in biomedical engineering and resides in Miami, Florida. Tom Wynn grew up in Western Pennsylvania and attended Juniata College, graduating with a Bachelor of Science in Political Science. During his career at Juniata, he played football and ran track, earning seven varsity letters in four years. In college, Wynn learned about the value and work ethic of team sports, which he says allowed him to be successful in business and in life. He continues to have a passion for what college athletics can do to shape the future of young people. After graduation, Wynn began his career with Campbell Chain of York, Pennsylvania. He spent 24 years at Campbell Chain, holding positions in sales and marketing as well as management. In 1997, he accepted an offer to join Peerless Chain, a chain manufacturing company founded in Winona in 1917. Wynn spent 21 years with Peerless Industrial Group, holding several positions and eventually serving as President and CEO from 2010 until his retirement in March 2018. In total, he spent 45 years in the chain industry. During Wynn’s tenure at Peerless, the company underwent significant growth and change, tripling its revenue and increasing its market share from 16% to 40%. Wynn led the acquisition and integration of four related companies into Peerless, as well as selling the company three times. Because of Wynn’s efforts, Peerless rapidly grew its international sales and now exports chain worldwide to 34 countries. With top line revenue of $120 million and more than 400 employees, Peerless Chain is now the largest chain manufacturer in North America and third largest in the world. 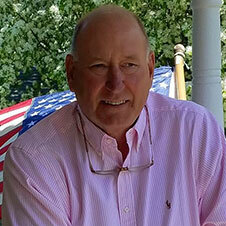 Wynn has always been active in the manufacturing industry and in the communities where he has lived. He has served on numerous industry boards and community organizations and has had the responsibility of being president of several boards in the past. He and his wife, Barbara, have been married for 45 years and have two daughters, Kelly Webster (Madison, Conn.) and Sarah McWhorter (Chicago, Ill.), and four granddaughters. Wynn is looking forward to being this year’s Grand Marshal at Homecoming and is truly honored by the Heritage Award recognition. As part of the Winona State University Homecoming festivities each fall, the Heritage Award recipient serves as the Homecoming Parade Grand Marshal and participates in the coin toss prior to the Homecoming football game with the football team captains. This application will need to be submitted to alumni@winona.edu. 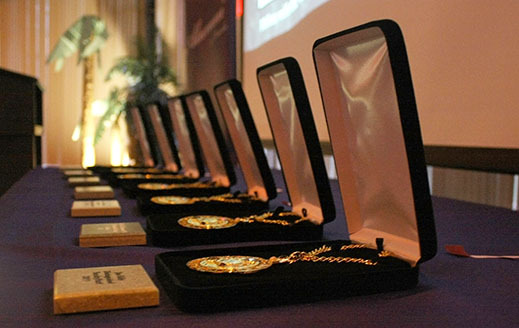 For two decades, Winona State has been presenting awards to distinguished alumni and friends. View the complete list of award recipients (PDF).